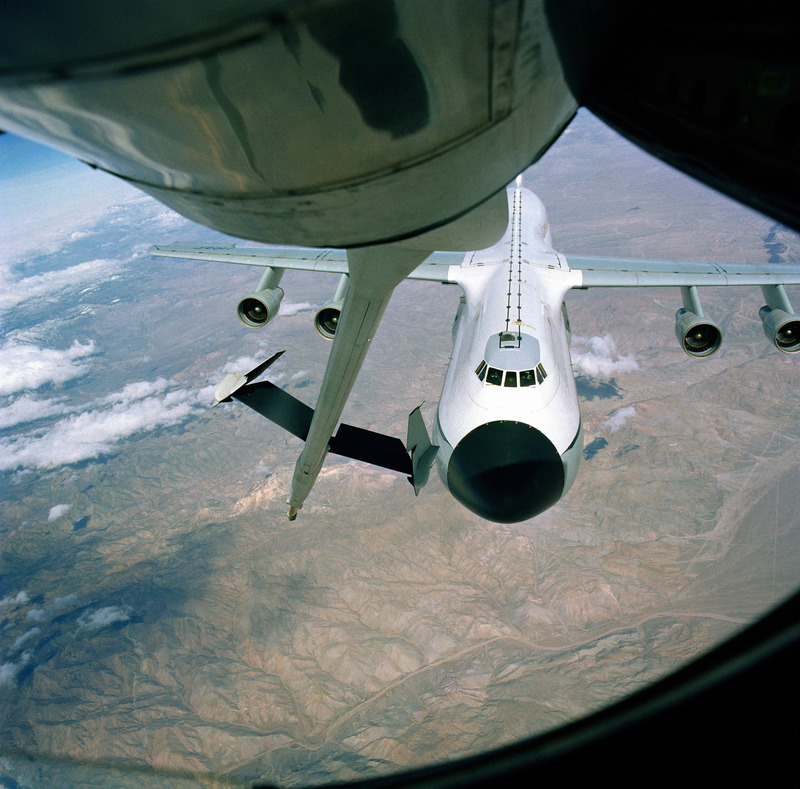 This is a very scary situation between a NATO E-3 Sentry and a KC-135. The boom operator couldn’t even get out a breakaway call. Makes you wonder what happens when there isn’t a camera filming. 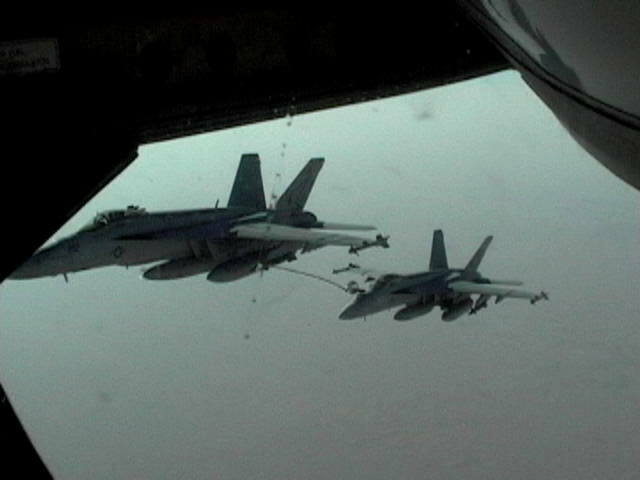 This isn’t something you see every day from the boom pod; a pair of F/A-18Es buddy refueling. 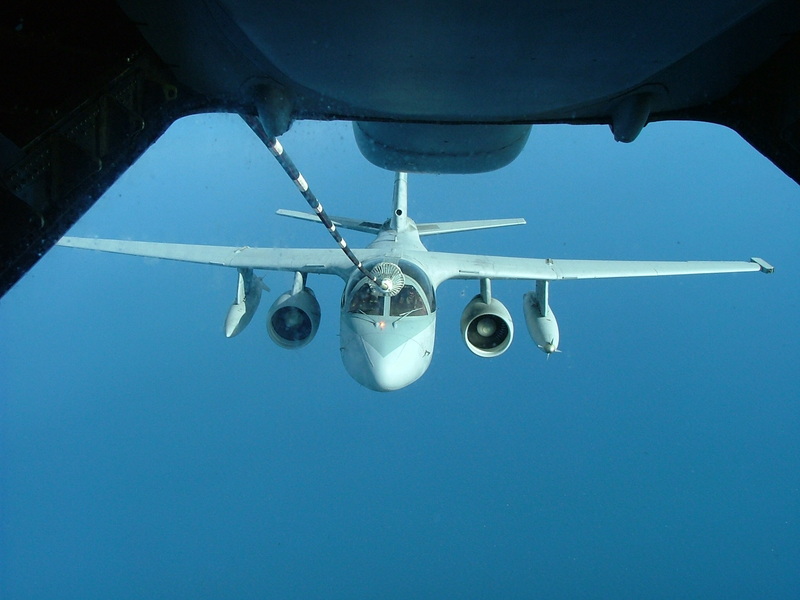 Here is a rare look at a Lockheed S-3 Viking refueling from a KC-135 Boom to Drogue Adapter. This is a scaled model wind tunnel testing of Actively Stabilized Drogue Refueling System (ASDRS) concept for Automated Aerial Refueling (AAR). This work is performed by UAV Lab at Western Michigan University. Created in response to a request by the US Navy. These are pictures that I have been in search of for a very long time and I think they might be the new crown jewels of my collection. I was very excited when I finally was able to get copies of them. 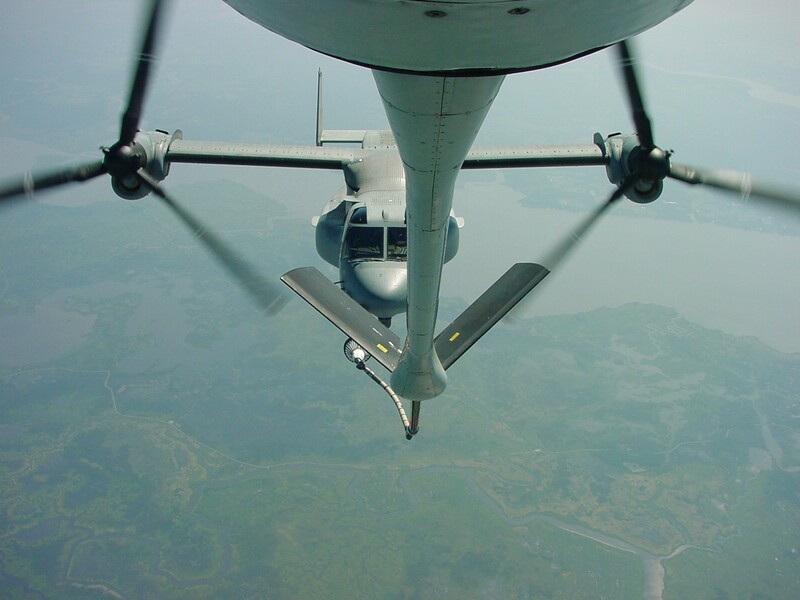 Here are pictures of the Bell-Boeing V-22 Osprey refueling from a KC-135 boom to drogue adapter (BDA). 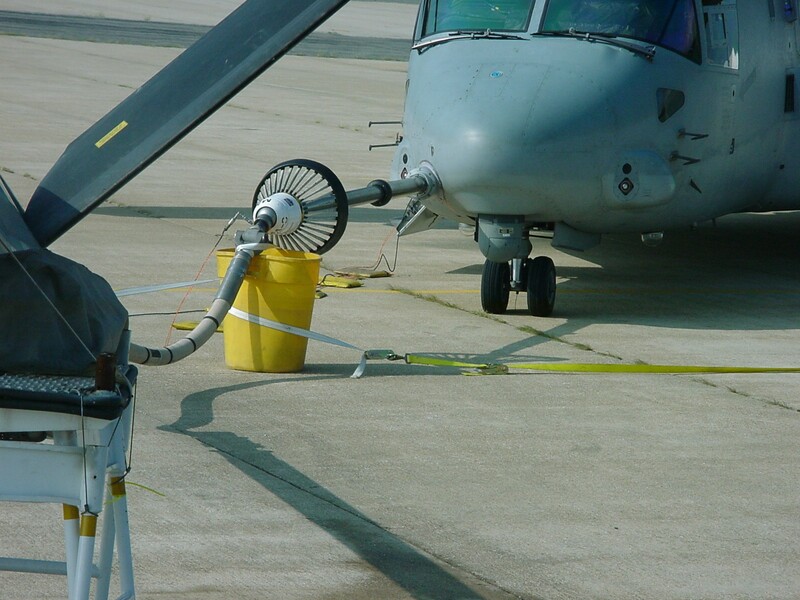 These pictures were taken during flight testing and as of the date of this post the V-22 is not included in the ATP-56(B) refueling manual and therefore is not allowed to be refueled. The boom to drogue adapter replaces the fuel nozzle on the tip of the boom and is attached to a 10′ internally stiffened hose that terminates in a conical drogue. The drogue and hose are not retracted inside the boom and therefore always hang out from the end of the boom. 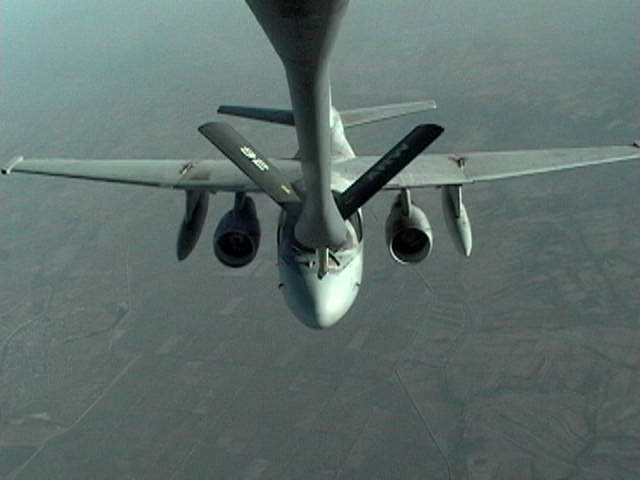 This unusual configuration often draws the attention of other aircraft and ground controllers when KC-135s operate from civilian airfields. 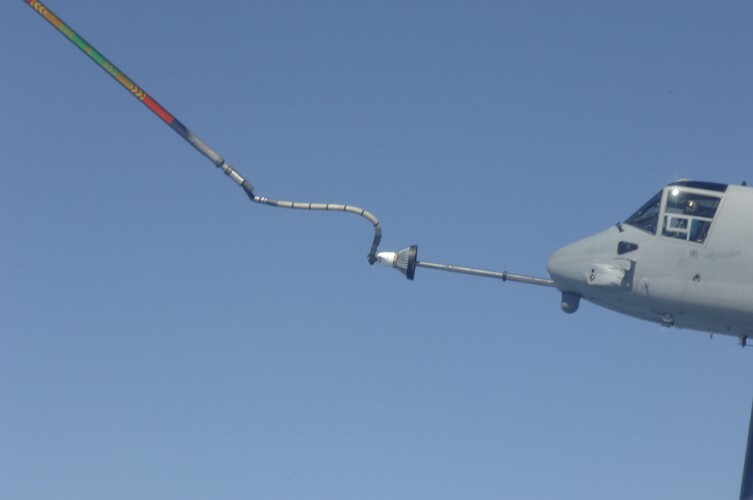 During use, the boom is fully extended to 20 feet so that the fuel pressure in the boom does not cause it to extend. 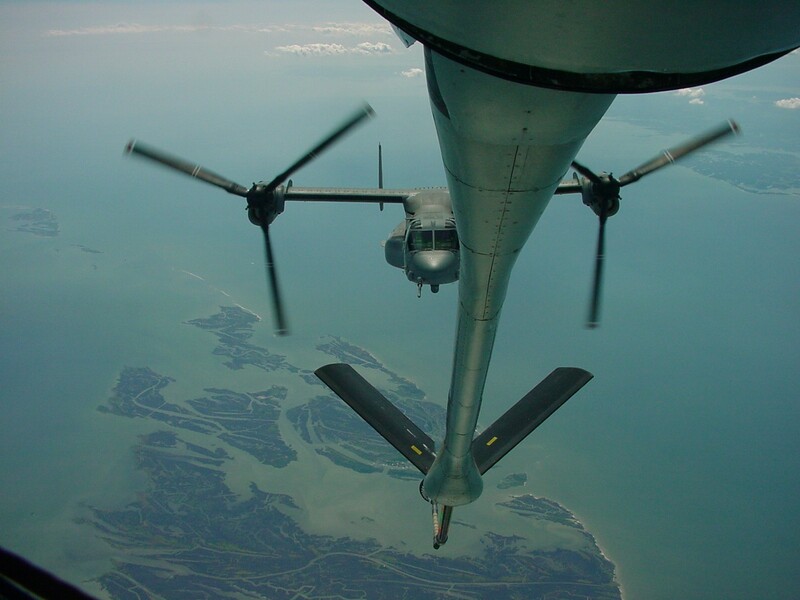 V-22 Ground Refueling Test With a KC-135 Boom to Drogue Adapter. V-22 Approaching Pre-Contact Behind A KC-135. 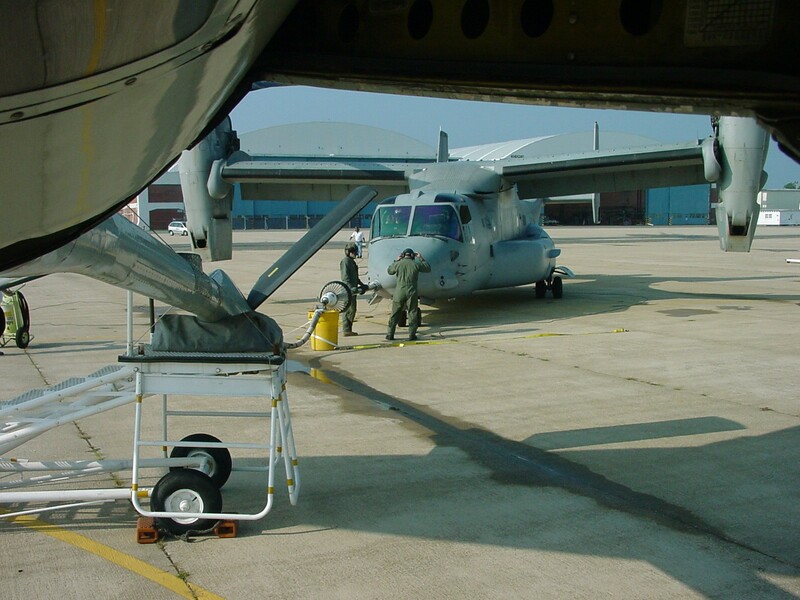 V-22 In Contact With KC-135 Boom to Drogue Adapter. 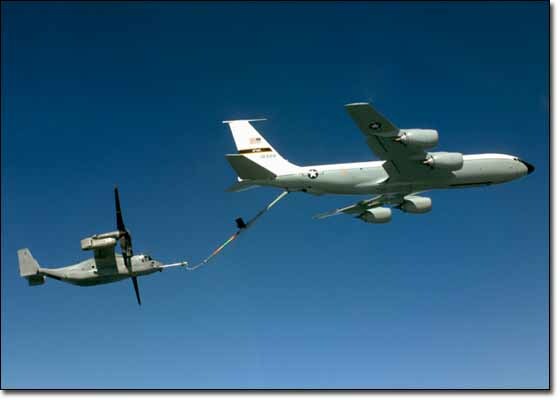 V-22 Flight Test Refueling With KC-135 Boom to Drogue Adapter. V-22 in contact with a KC-135. 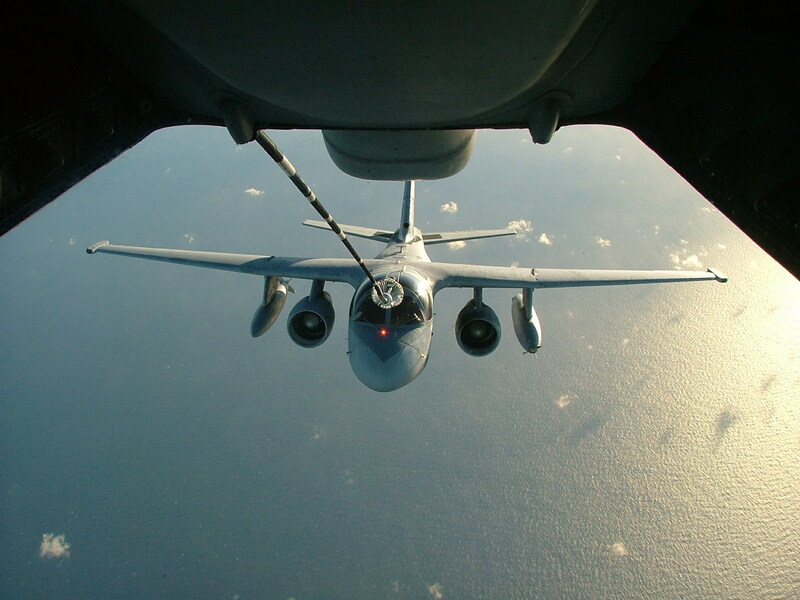 A common question that I receive is what happens if there is a spark during Air Refueling; will we blow up? I think this video dramatically puts to rest any notion that there is a risk of explosion if there is a spark. 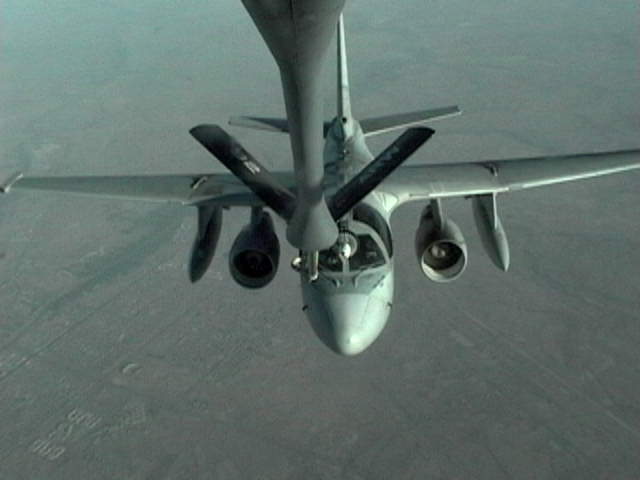 The two aircraft in this video are a KC-135 and an E-4B. As the two aircraft fly through the air they pick up electrical charge at different rates. This difference is equalized by the spark that jumps between the two aircraft. It is difficult to tell from the video, but it looks like these sparks are 3-5 feet long and jumping between the tanker’s nozzle and the receiver. 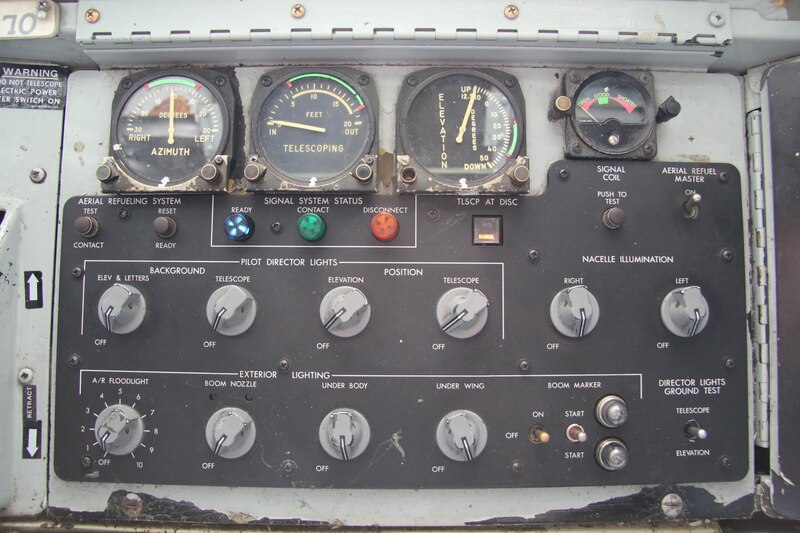 The dielectric breakdown of air is approximately 3 million volts per meter which suggests that there is something like 3-6 million volts difference between the aircraft. 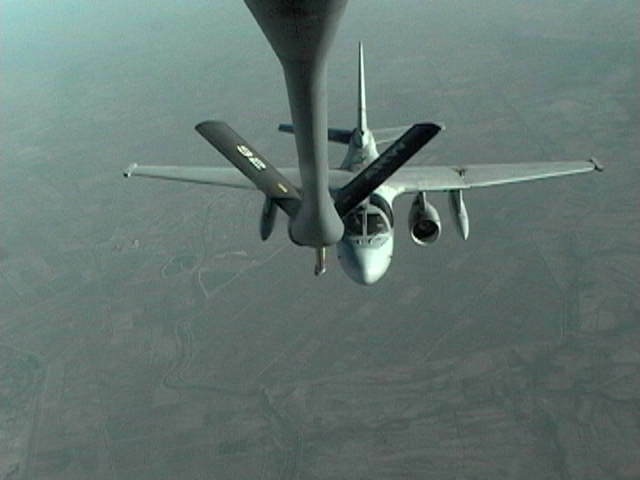 Video detailing the Royal Singapore Air Force’s KC-135R Stratotanker and its mission. View in HD. This is a very impressive video of a C-17 holding the pre-contact position behind a KC-135 followed by an aggressive break over a crowd.